Below are some of our default stack-ups for multiple layers. If it’s necessary to use your own stack-up, please click “ Additional Options” and tick “ Custom stack-up” at our website when making orders online, then our engineer will quote according to yours inside. 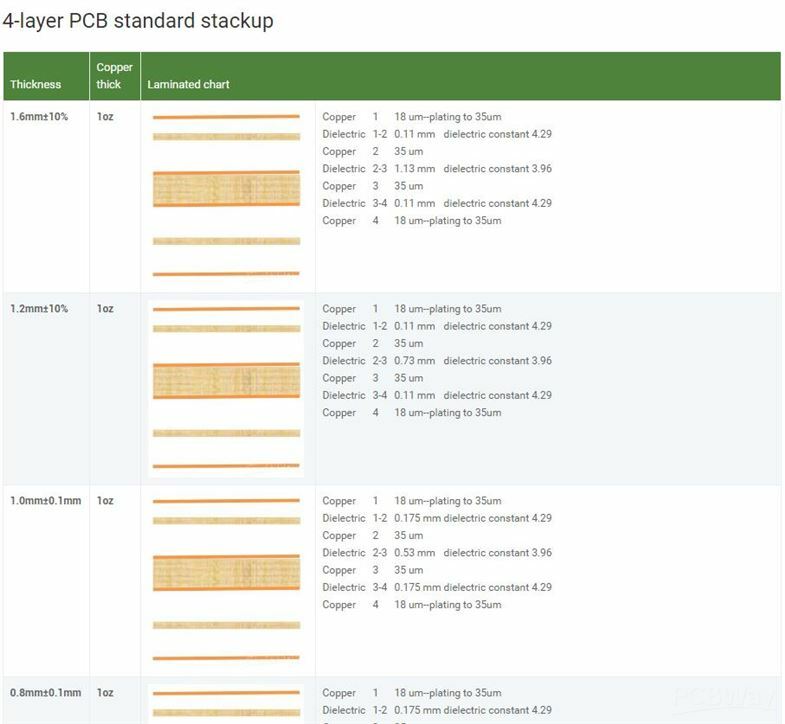 There are might be some adjustments about customized stack-up especially boards with impedance control due to manufacture capability or material stock issue.